Hiver et Café: [Blog Tour] A Guest Post by Paula Stokes, on VICARIOUS. 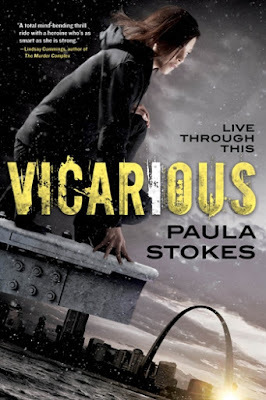 [Blog Tour] A Guest Post by Paula Stokes, on VICARIOUS. Hello everyone! I'm so excited to be a part of the blog tour for Paula's new novel -- Vicarious! I love Paula's work and I've gotten the opportunities to design some stickers to help promote her novels, Girl Against the Universe and this novel, Vicarious. You can find my review of Vicarious, here. 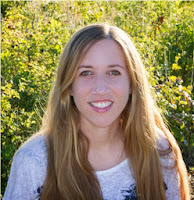 Paula's guest post on my blog, talks about her experience writing outside of her perspective and her research strategies she used for writing Vicarious. One of the things I noted on my manuscript when my agent put Vicarious on wide submission was that I had lived and worked in Korea for a year. Living and working somewhere obviously does not make me any kind of authority, but it goes a long way in helping me figure out which questions to ask. Tangent: Have you ever read a book where the author got something wrong—like really wrong—and you wondered how that happened? Sometimes it’s because authors don’t know which questions to ask. If you’re not researching the right things, then of course you are going to make mistakes. I have a mystery writer friend who watched a couple of episodes of Orphan Black, but gave up on the show because one of the early episodes involved clones who had the same fingerprints, and my friend felt like the writers didn’t care about accuracy. Apparently fingerprints form in the womb and vary due to fetal positioning, length of umbilical cord, and other non-genetic factors, so identical twins (and clones) have different fingerprints. Did you know that? I didn’t. I would have assumed that twins (and clones) had the same fingerprints. Chances are the writers for Orphan Black did too. It’s not that they were lazy or negligent—they probably just didn’t research fingerprints because they assumed something that seemed logical but turned out not to be false. So then how did living in Seoul for a year help me know which questions to ask? It helped because I was surrounded by Korean people and Korean culture all day every day. I learned, without even trying, about Confucianism, collectivism, respect for elders, speech honorifics, family structures, living arrangements, social norms, expectations for employees, expectations for students, industry, food, fashion, entertainment, alcohol and smoking habits, and more. I did not become an expert in any of those things, but when certain things appeared in my outline or manuscript, it raised a flag in my head where I knew that more research and/or verification was needed. My cultural research started with what I remembered from my time in Korea, reviewing hundreds of pictures and conversations or experiences I’d had with friends. I was still in contact with a few of my students and I looked at their social media to see how things had changed. I asked questions about how they thought Korean culture and Korean people had changed in the past few years. Throughout the writing and initial revising of the book, I relied mainly on books and the internet, reading Korean culture manuals and travel guides, researching specific points on multiple blogs and websites. The internet is a great resource, but for the most part you can’t trust it, so I always tried to verify every piece of information in at least three places. To do this I utilized upward of thirty blogs/websites, some written by Koreans living in Korea, some written by Koreans living in the US, and some by Westerners living in Korea. I wanted a variety of perspectives as well as the opportunity to double check my facts. Paula Stokes writes stories about flawed characters with good hearts. She’s the author of several novels, most recently Vicarious and Girl Against the Universe. Her writing has been translated into eleven foreign languages. Paula loves kayaking, hiking, reading, and seeking out new adventures in faraway lands She also loves interacting with readers. Find her online at authorpaulastokes.com or on twitter as @pstokesbooks. Haha! Oh man! I'm excited for the second novel! Same! I really like her point that you need to ask the right questions. I'm glad you love my graphics! I enjoy making them! I really do love the amount of research that it seems Paula did! That is one of my favorite parts of reading books. I love learning new information about other parts of the world!